The newspaper has the right to report or not report any story as they wish for it’s their paper and business decision. The readers have the right to choose to support or not support the paper with their readership as does the citizen who reports suspicious behavior such as this. 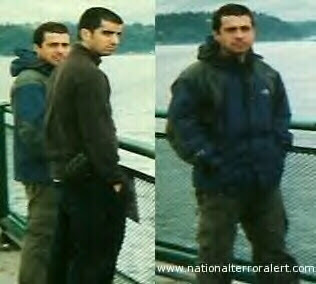 I just hope it doesn’t turn out that these guys were in fact terrorist conducting research for a future terrorist attacks on ferries carrying hundreds of passengers in a known region where terrorist have already conducted research and plans for attacks. 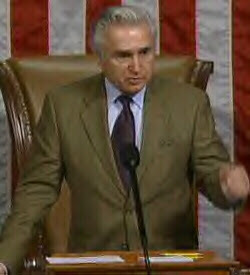 "Rep. Maurice Hinchey of New York pleaded no contest yesterday to a charge of carrying a loaded handgun in his baggage at Washington National Airport and was given a suspended sentence. The Democratic lawmaker appeared before District Judge Joseph Gwaltney, who ruled that the sentence would be suspended and lifted automatically in a year. "The handgun was inadvertently in a piece of luggage I took from my upstate New York home when I drove back to Washington for the late-November congressional session, and it was still in that piece of unopened luggage on Dec. 1 when I decided to fly back to New York," Mr. Hinchey said in a statement"
"Tax relief revitalized an America that at the time was measuring its status by a “Misery Index,” calculating the combined rates of inflation, interest, and unemployment. The general “malaise” that was the Carter Administration was replaced by President Reagan’s optimism. Census Bureau statistics bear out the benefits of President Reagan’s tax relief, Americans prospered and their lives improved with lower inflation (from 13.5% in 1980 to 4.1% in 1988); lower interest rates (from 18% on a 30 year fixed mortgage in 1981 to 8% in 1987); and outstanding job growth (unemployment had peaked at near 10% in the recession of 1981-1982 and dropped to 5.5% in 1989 once the whole 25% tax cut took effect). The American people kept more of what they earned, saw investments increased, and in the process, enjoyed the creation of 17 million new jobs."